81 Points of View is an interactive sculpture. 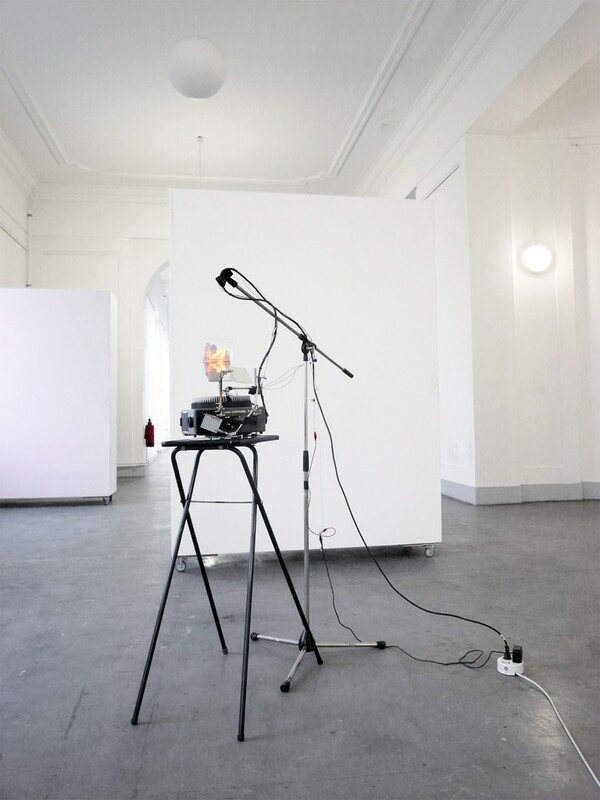 It proposes an electro-mechanical setup that overlaps perceived with virtual reality. The result is an elaborate manifestation of a basic principle utilizing old and obsolete technology. Where as media technology becomes smaller and eventually invisible, 81 Points of View turns that development up-side-down. Due to its transparent setup the sculpture‘s mode of operation turns out to be the actual subject matter. Relying on obsolete hardware, 81 Points of View is disconnected from the common notion of technological progress. In that sense it is incompatible with the idea of progression and the pinpointing of ideas to specific points in history; instead it is concerned with recurring themes. 81 Points of View operates in between modern handheld devices, that implement augmented reality, and optical machines invented centuries ago. 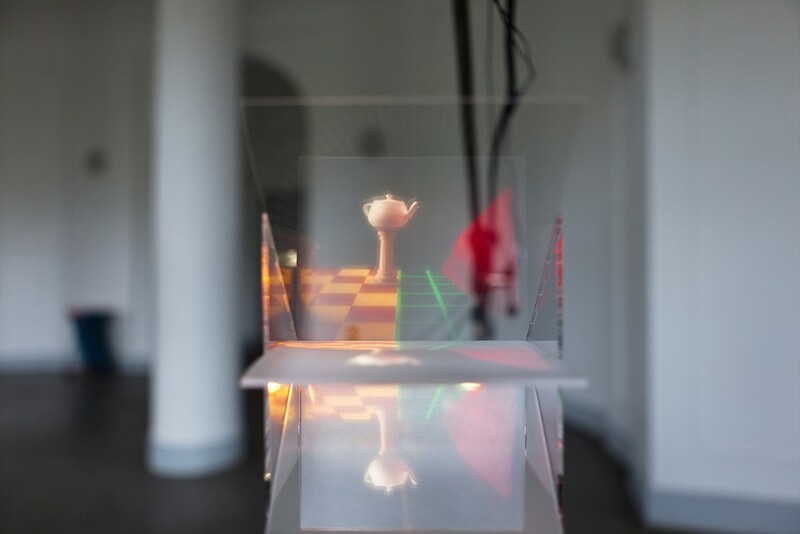 As an installation it attempts to illustrate ideas of optical illusion and virtual voyage that have appeared as new technology repeatedly during past centuries – and continue to do so. 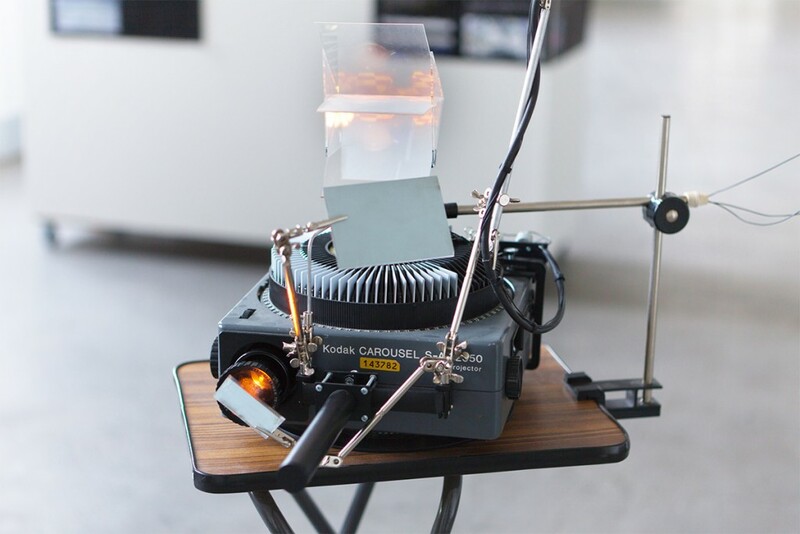 How it works: A computer-rendered panorama view is allocated to a slide projector‘s tray that can hold 81 slides. The projector can be rotated around its center in the same amount of steps. After each movement, a mechanism selects the slide matching the person‘s point of view. In order to make the projection appear overlapping the reality, a technique called pepper’s ghost is used – invented over 150 years ago. For occasional updates on shows, talks, etc., sign up for my mailing list. Max. once a month.